ROUNDMAP™ SYSTEM 360 is a framework designed to help increase revenue by: (re-)defining the business strategy, (re-)aligning the strategy execution, (re-)integrating the front office operation, and improving customer performance. As clearly stated by Peter Drucker: “The purpose of business is to create and keep a customer”. The level of detail in the customer lifecycle in the ROUNDMAP™ emphasizes the concern of the customer process to the purpose of business. 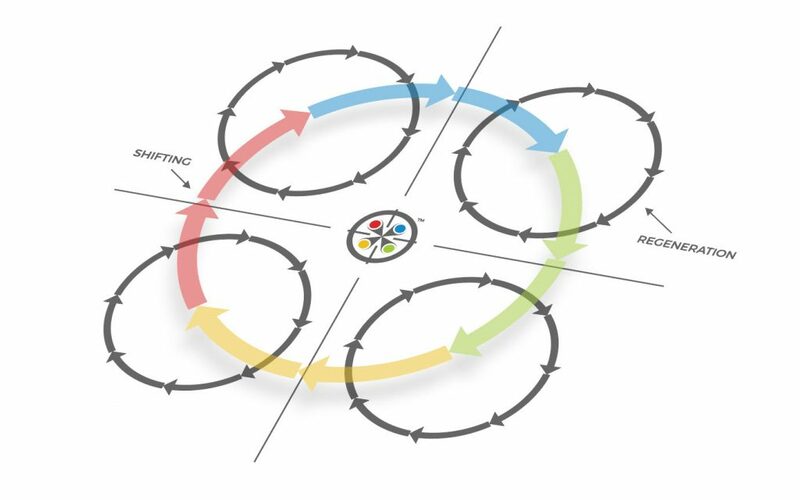 ROUNDMAP™ SYSTEM 360 consists of three layers: (1) business strategy, (2) strategy execution, and (3) performance. We address to these three layers as: STRATEGY 360, EXECUTE 360 and PERFORM 360. Together, they are the ROUNDMAP™. These three layers are represented by three icons: Strategy (focus), Execute (orchestrate), Perform (measure). The first layer emerged from constructing the customer lifecycle, indicating that it came from a bottom-up deduction. It led to the formation of four elemental business models that describe the dynamics of any known business model. 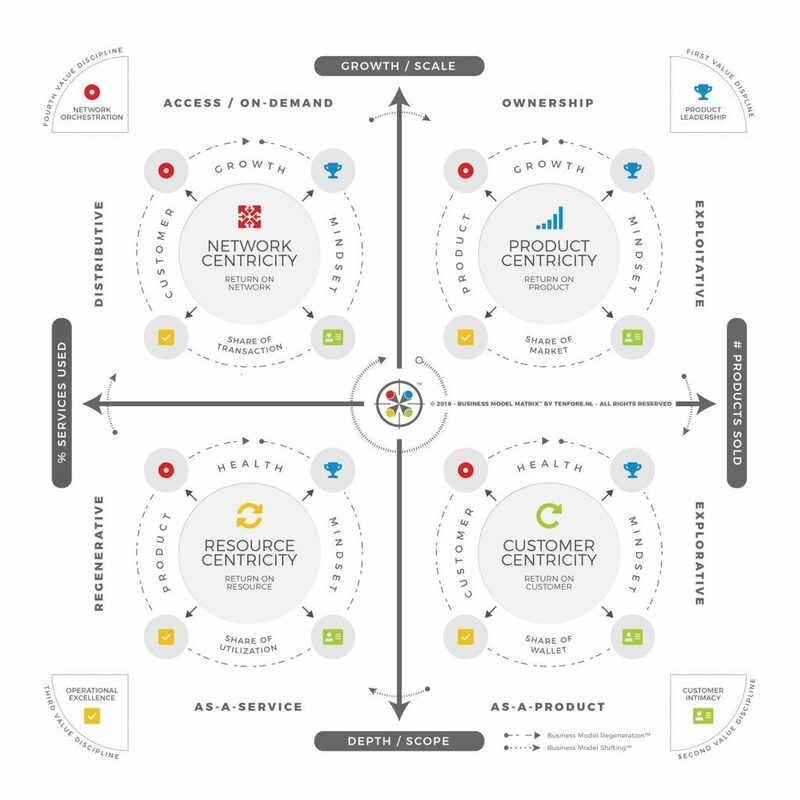 Prior to the Business Model Matrix™ (also known as ROUNDMAP™ Strategy 360) a business either operated in a product-centric or customer-centric way (2D). The literature did not account for any other business model. By adding a third dimension, we managed to incorporate all service- and platform-driven business models of the digital era into one 3D model. 70% of Digital Transformation (DT) initiatives fail, according to a recent McKinsey study. Indicating a humongous amount of money (900 billion out of 1.3 trillion USD over 2017) and time wasted, let alone the opportunity costs.